Really excited to show you you guys my first MyEnvyBox. Before I show you wants in the box, Let me tell you a little about it. 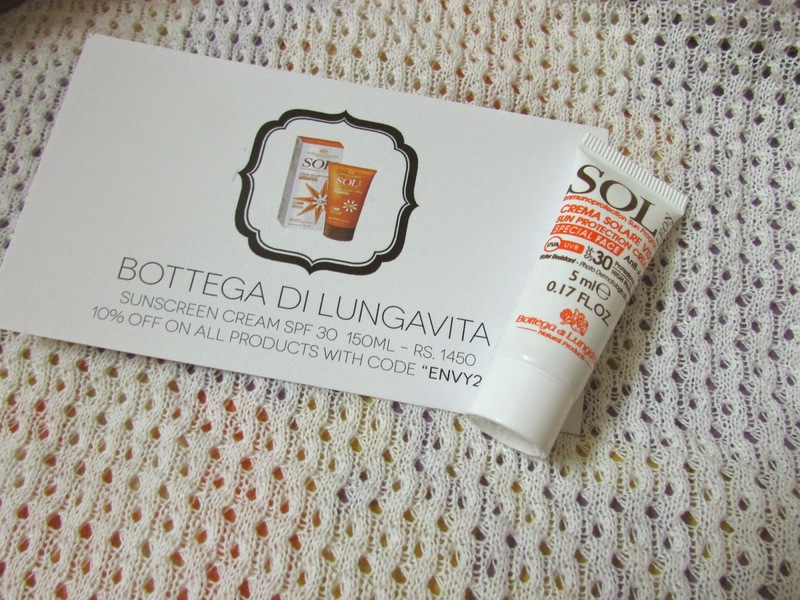 Its a monthly subscription box service which help you dig deep into the world of beauty. 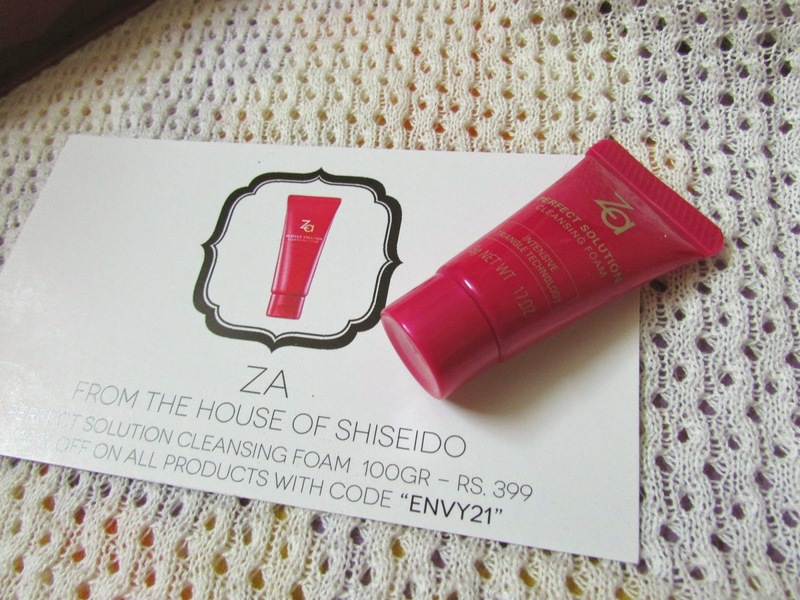 It comes with 5 luxury samples and is prices at 850 INR . Lets get into the box, the fist think I have say is that I really liked the consent of snap closer, you can actually use the box for keeping jewelry or lipsticks. The first thing I noticed when I opened the box it, it smells so good, you know when you enter a skincare shop where you want to buy everything it smells like that. 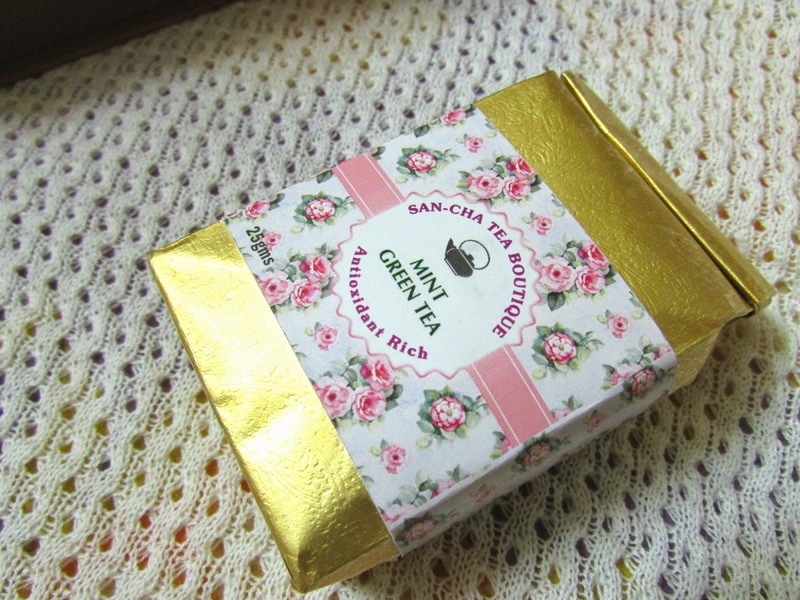 The first product that caught my attention is SAN-CHA Mint Green Tea . It came in the little packaging with lovely roses on i of 25gms. This tea is said to have antioxidants and cleanses the body . 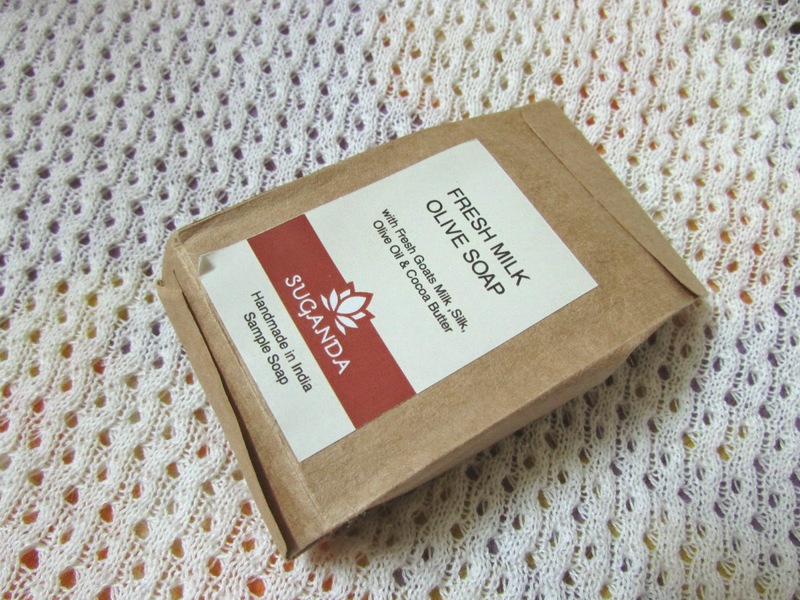 The sample is in a good enough size and i think I can make 4-5 cups to tea in it. I am a green tea addict , so really excited to try the combo of green tea and mint. 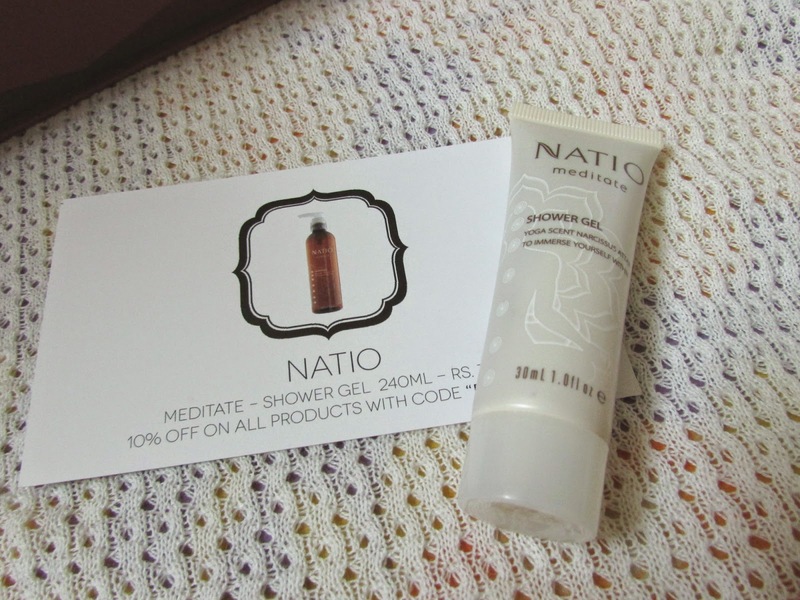 Just next to the tea was this tube of 30 ml Natio meditate shower gel in yoga scent, oh yes, yoga scent. Ofcourse I had to smell it immediately and it has such a relaxing fragrance. It smells like sandalwood combined with some spices, something that immediately relaxes body and mind. Now coming to the little cloth bag , lets see what is in there. 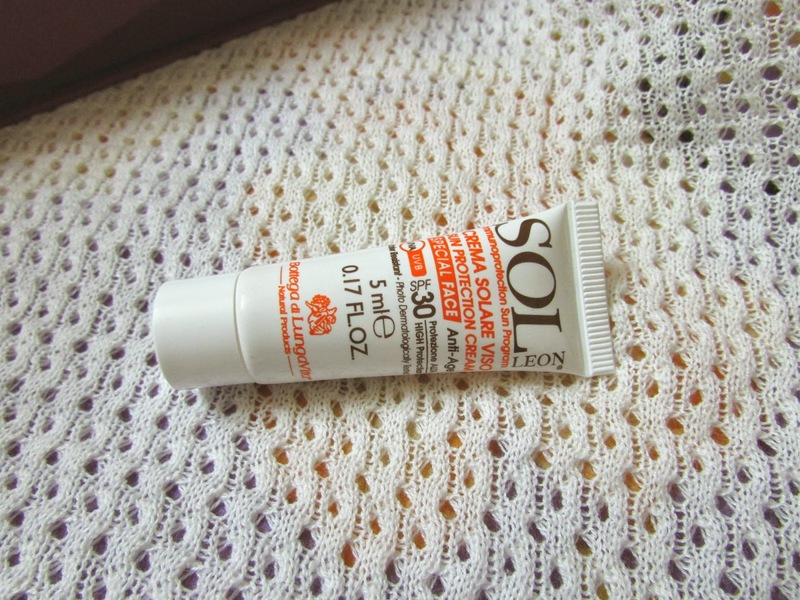 Second product in the bag is this 5ml sol leon sunscreen with SPF 30 , it has anti aging properties as well . 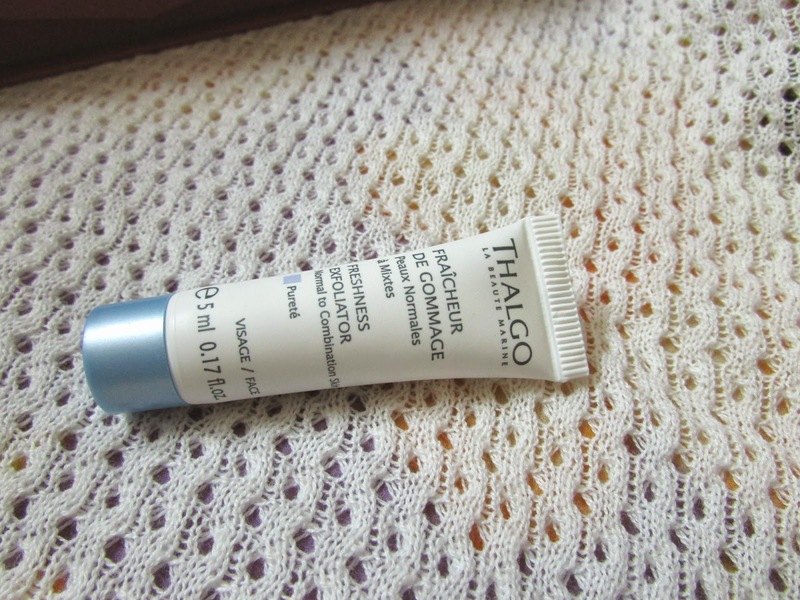 I don't think this cream has any fragrance, which is good as my super sensitive skin will love it. 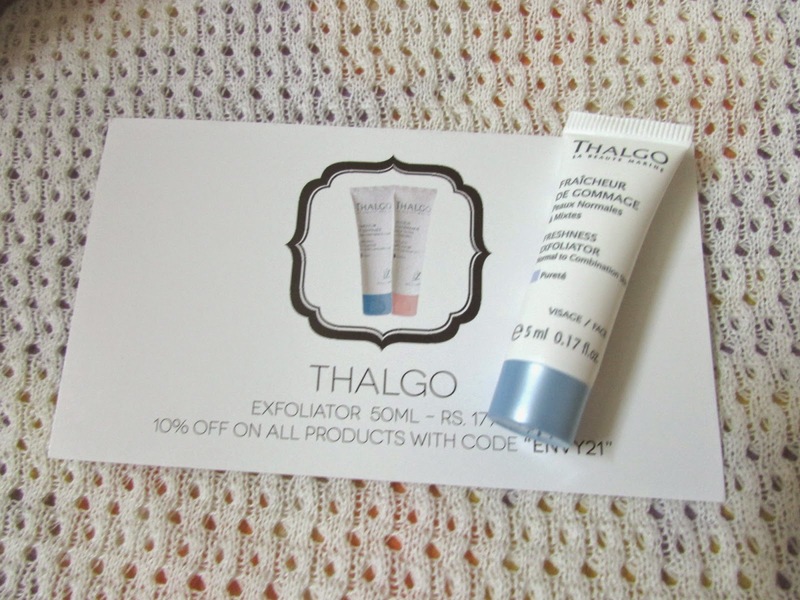 Then I pulled out 5ml Thalgo Freshness Exfoliator . 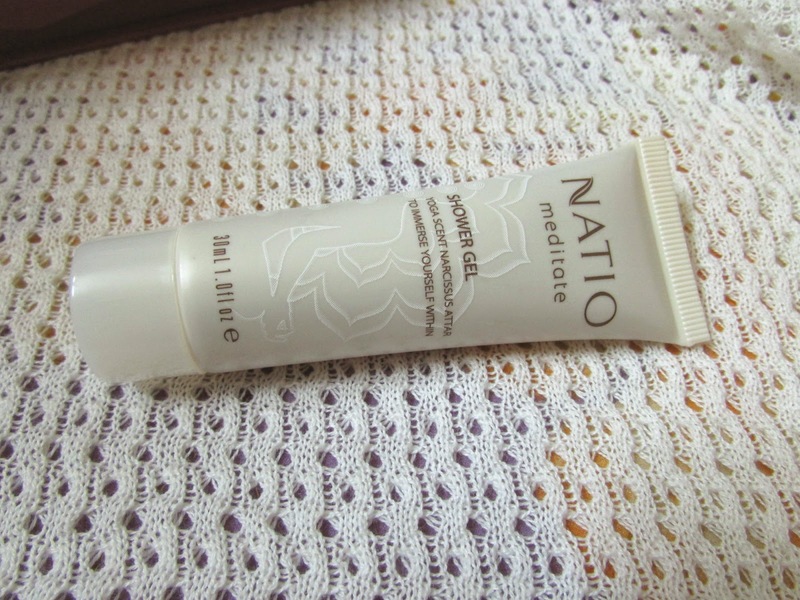 Its a gentle exfoliator that removes dead skin . Smells so fresh like peppermint . It looks like a great scrub for sensitive skin like mine. Last product of myenvybox is ZA cleansing foam and let me tel you, I cannot control my excitement, watch the video to see my reaction . 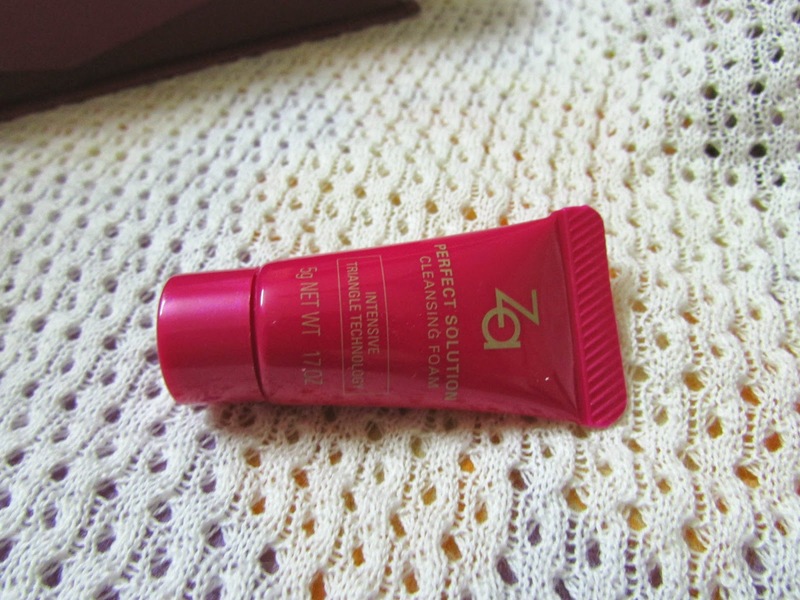 I am wanting to try ZA product for long and finally I have one.It is said that the little amount of the product works like magic on skin. Super excited to try it out. The box also came in with the cards , 1 card for each product , it explains the product and gives a coupon to get 10 percent off on purchase of full size product. Allover I think its a great box. The idea to make a detox themed box is so innovative and interesting. The box came in with all we need to detox inside out out. To pamper skin with the exfoliator, cleanser and sunscreen and internal cleaning with the yummy mint green tea. Some samples came in good enough sizes so 850 INR is great value for money. Have you tried Myenvybox ! i love all these monthly box subscriptions. its just feels like christmas every month haha. also, thank you for being so sweet in my previous post :) you're the best! 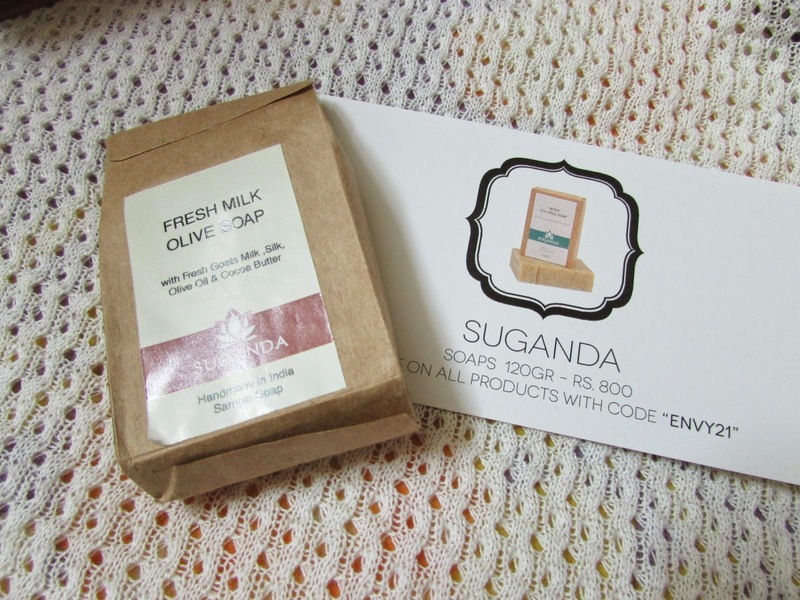 I just love subscription boxes, I love surprises, what a fantastic box this is. I love the idea of green tea and mint. Those soaps look amazing too, I wish I could pick them up for my partner as he has really dry skin. Really nice post! I love boxes like this! If you have time visit my blog http://maricorner.blogspot.com/ . 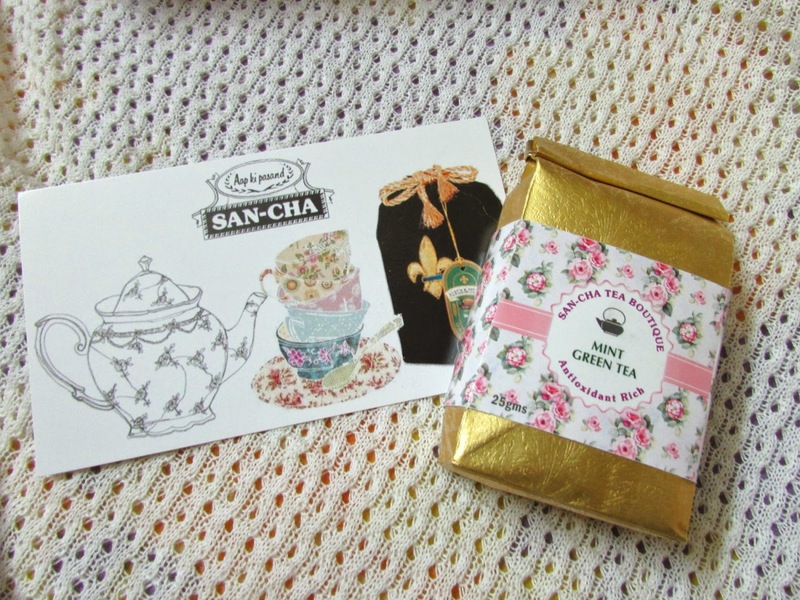 Wow, this looks very fabulous, especially the green tea, I'm a big fan! It is noteworthy Neworld Detox that these symptoms do not meet the help of professionals and under medical supervision.